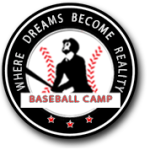 Special News bulletin: Big League Experience will be holding a spring training camp in Phoenix, Arizona that will include the opportunity to play in a USSSA Championship tournament. The USSSA Spring Championships Dual NIT Tournament is held in Phoenix, Arizona from March 18 – 20 in which Team BLE will be entering teams in the 10U, 11U and 12U Divisions. This BLE event will include a pre tournament camp in Phoenix prior to the tournament being held from Friday, March 18 to Sunday, March 20 (four games guaranteed). Former Canadian Olympic team coach and Major League Scout Marty Lehn, five time World Series Champion and former MLB catcher and coach Bob Didier, 12 year major league pitcher and World Series winner Albie Lopez, Thompson Rivers University coach and former professional player Kyle Dhanani and University of Calgary coach and former professional pitcher Joe Sergent. Other guest coaches will be included as well. Unfortunately the cost of events such as these to the US is indicative to the exchange rate and with that in mind, we wish to offer all those participating a gift certificate of $100cdn towards our 2016 summer camps. As many of you are already making plans to participate in next year’s summer camp, this is a great way to save $100 towards the 2016 camp. (Promo code will be sent to the complete group upon registration). * if paying by the invoice method you can save the PayPal fee of $20, so please deduct $20.00 from the final check that you submit to the BLE office (Total of $755 within 1 week of your registration online). To pay by check, Continue to register online using the form below, and then choose the invoice method of payment, your credit card will not be charged.